For those of us who take some risks, a Road ID provides EMTs with your medical history and emergency contacts when you can't. Ask yourself this. "If I fell, got hit by a car, ran into a rock, and was knocked unconscious, what would I want EMTs and emergency room staff to know?" Well, they'd want to know the medications you're taking, your allergies, and your pertinent medical history. Knowing those things are critical to how they diagnose and treat you. Without your name and emergency contact info, You're just John or Jane Doe. Last summer I met a retired thoracic surgeon hiking the AT. We hiked together for several days, and he showed me his wrist band. It was a nylon band with a metal plate attached. He told me that it was coupled to an online profile with his emergency contacts, medical history, doctors, meds, allergies ... 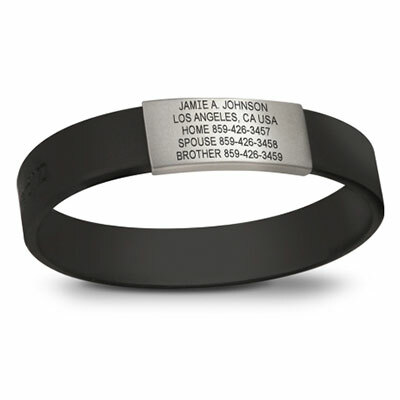 Emergency personnel can either bring the profile up, using the PIN on the back of the bracelet, or call the phone number on the front. You fill out and maintain your profile. I thought about the times I hiked alone, rode my bike along a highway, went downhill skiing ... The time I got hit on my motorcycle and woke up in an ambulance ... Sometimes I'm carrying id and insurance info. Sometimes not. And that won't necessarily lead them to emergency contact info, much less vital medical history. 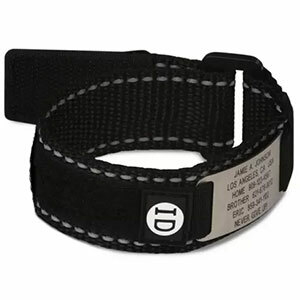 Options - Road ID has wrist and ankle straps in various sizes, widths, colors and styles. They are made from both nylon and silicon. They also have shoe pockets, dog tags, and tags for dogs. Two versions - The Original, and the Interactive. The Interactive has a few lines of personalized text, an emergency contact number, and a hidden pin linked to your online profile. Of course, the online profile isn't free. It's 9.99/yr, tho they "include" the first year's membership in the cost of the product. 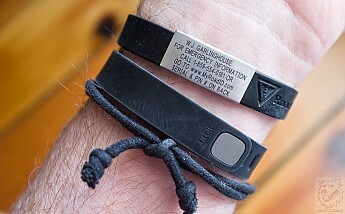 The band itself had the look and feel of other popular silicone wristbands. The metal tag slips over it, and seems very secure. I've worn mine nearly constantly for eight months, and have had no comfort issues and the metal data plate is still in excellent condition. Bottom Line - I'll be wearing it this summer backpacking the AT! Good call on the Road ID, Bill. I also have Road ID tags on my running and trail shoes. Thank you. And thanks for cleaning up the make/model and adding the pic! Can you add a link to the review? You're welcome, Bill. This is a good reminder that it's time for some new Road IDs in our house. Goose, can you not see the review above? Oops. 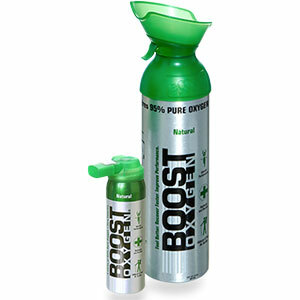 I meant to the website for this company. 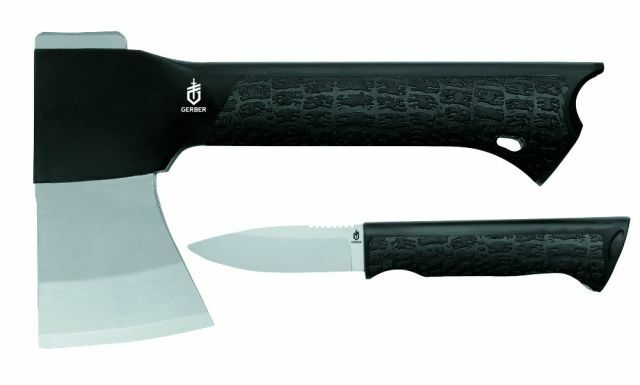 Ended up getting one of these a few months back. I was in a 5k race, and they were giving discount coupons. Basically paid $5 + shipping. 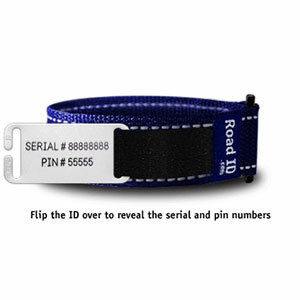 The Road ID Wrist ID Slim is not available from the stores we monitor.